In Winter it is especially important to ensure you are safe and seen! It is much harder for road users to see you in winter, as the nights turn dark earlier and weather conditions are worse. 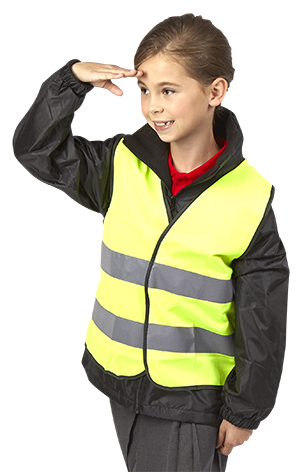 - Wearing bright colours and fluorescent clothing is one of the best ways to ensure you're seen. - Fluorescent materials don't work when its dark - reflective material is the best thing to wear. This could be a reflective strip on your coat, or a reflective triangle on your bag. - A flashing light is a great way to be been - whether its a key ring that's attached to their school bag or an arm band. - The British weather is unpredictable at the best of times but winter can bring, rain, sleet, snow, hail, fog, blustery winds and everything in between. Ensure they keep warm and dry with coats, hats and gloves. For more information or resources visit Think Education!